I love how many SO many ideas can be shared and gained via other people blogs and blog posts. It truly is amazing, I wish blogs were around when I first started teaching, the ideas really are endless! 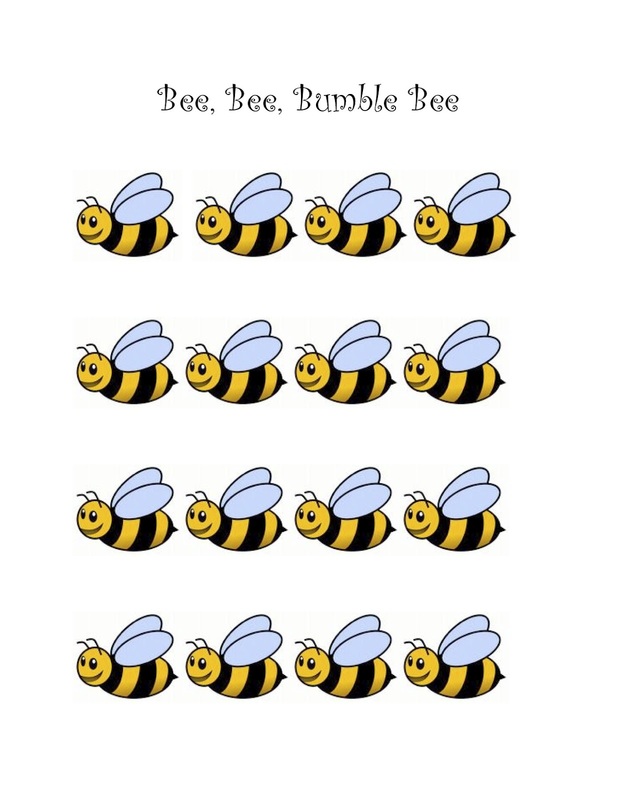 In fact, on my last post about Beat Strips Alisha (check out her fabulous blog by clicking here) replied about using beat charts for songs in kindergarten and first grade. This got me thinking, I've not shared these before, so here goes! These are great! It sounds like there's a game that goes along with the song too. Mind sharing what you do to play it? (if you do play a game. :)) Thanks! My game is basically a "duck, duck, goose" game: I have a bee puppet that a child uses as they go around the circle (the class is in a seated circle). On the word "out" they tag the person they are behind, that person chases them one time around the circle and the taggie becomes the new tagger. Hope that makes sense! Makes total sense. Thanks so much! I love your blog! When we play Bee Bee Bumblebee at my school, when a student gets out, they get to play the beat on the drum. 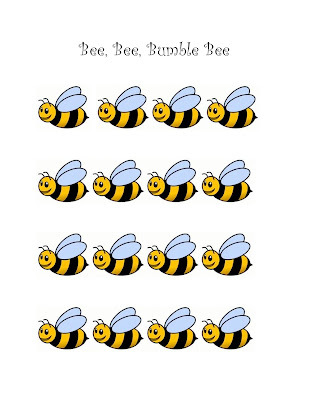 I remind the students to play every time "Buzzy" lands in a "flower." The students hold their hands above their heads like an open flower for the bee to land in. One more chance for them to play the drum and demonstrate beat! Also, a few years ago a colleague made a bee beat chart that we later used for rhythm tracking. It was on a transparency and she added one antenna for quarter notes and two antennae for eighth notes. It was a pretty clever concept. You bet!!! And I LOVE the antenna idea!! Very clever! I like the beat on the drum! 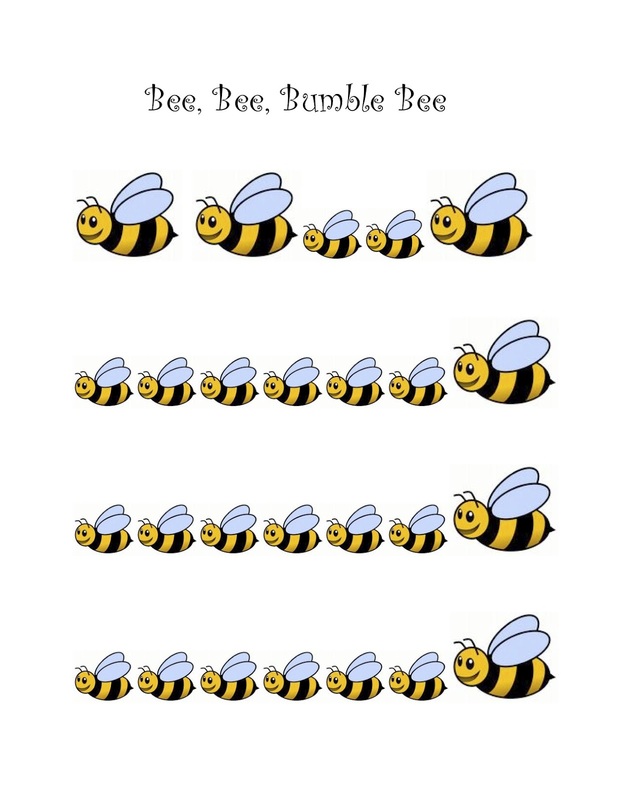 I forgot about another extension- I have a laminated bee that after they've had a turn in the middle they compose a 4 beat pattern using ta, ti-ti and rest. They then pick a friend or two and perform the pattern as an ostinato during the song while the game continues. If you did the drum and the ostinato you'd have some awesome partwork going on!! :) Love the prospect of combing our ideas! Now, just to remember it after I present ta, ti-ti and rest this fall!